Downey Daily Photos: An Aesop's fable? OK, sometimes yard art can make you scratch your head. 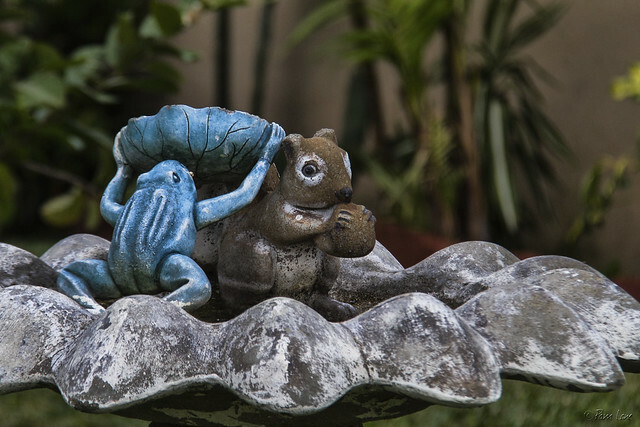 From my own experience with squirrels burying their walnuts in every conceivable place in the garden, I imagine this fed-up response from the frog. "That's one too many nuts in my pond! Get out, before I douse you with a lily pad bucket-full of water!"